Made in China by Core Products International, Inc. Carries a 10 year manufacturer\'s warranty not to lose shape or resilience. Available in 5 sizes of non-allergenic/non-toxic foam for a custom fit. Foam is on the firmer size for support. 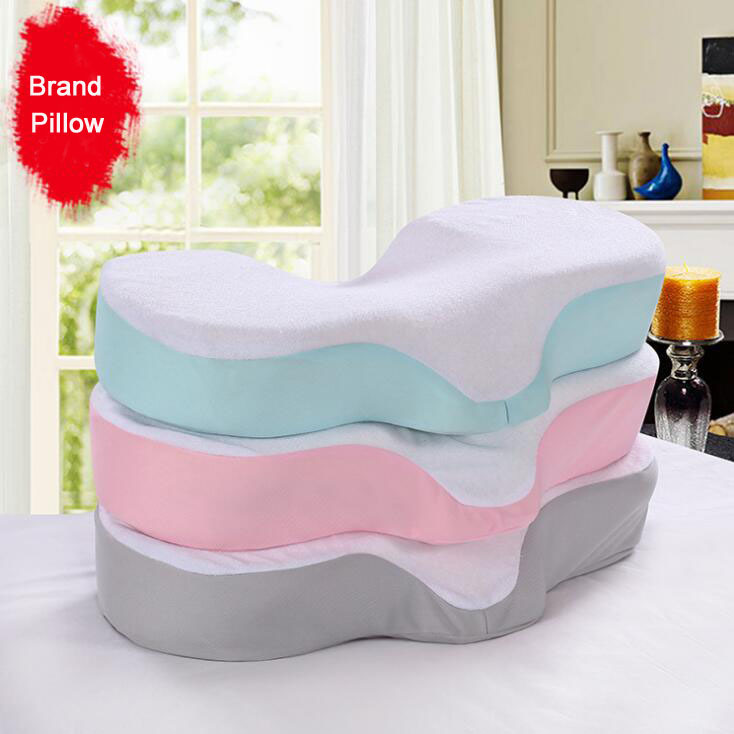 NOTE: When sizing this pillow, if you have a very soft mattress or a pillow top mattress, it may be necessary to choose one size smaller to accomodate your body sinking into your bed and changing the angle of your neck. Because people sleep on their backs, sides, or both, this pillow was created to work for each sleeping position. The ergonomic design offers comfortable support and stability in all sleeping postures. The Therapeutica Sleeping Pillow allows you to sleep on your back and/or side in the correct spinal alignment. We believe that we have developed the most unique sleeping pillow in the world because the Therapeutica Sleeping Pillow incorporates two shapes into one pillow. We believe that this is the only pillow on the market that is designed to properly support the spine when people are back sleeping and side sleeping. We maintain high standards of excellence and strive for 100% customer satisfaction. Feedback is very important to us, we hope you could give us 5 star positive feedback,Any question,please feel free to contact us. 2. Any import tax or fees are the buyer\'s responsibility. Please read all the details before you ordered.,thanks,if you have any questions, pls don\'t hesitate to tell us.